Applications are invited from prospective students for admission into the postgraduate programmes of the UNN Business School (UNNIBIZ) for the 2017/2018 academic session. UNN BusinessSchool offers regular Professional Postgraduate Programmes leading to the award of Postgraduate Diploma (PGD) and Master ofBusiness Administration (MBA). The Business School also offers Executive MBA and Executive Doctor of Business Administration (Executive DBA)programmes, and Short-Term Certificate Courses. Duration & Time to Apply for Admission. 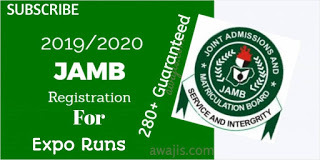 (i) Application Fee: Candidates seeking admission into the postgraduate programmes of the UNN Business school can obtain application Forms ONLINE on payment of non-refundable application fee made payable to the UNN Business School Postgraduate Application Account at any bank in Nigeria using Remita platform. – Click on UNN Portal through this link: unnportal.unn.edu.ng. – Click on PG Application Form to generate invoice for payment. – Use your phone number to generate invoice to enable the University reach you for other information. – Return to the UNN portal with your payment confirmation pin from the bank and follow the procedure for completing the form. Candidates should download 3 copies of the referee report (DI) forms after completing preliminary and personal details online. Candidates should complete any missing personal details on the forms while the remaining information should be completed by the referee manually and returned to the candidate who will enclose it in sealed envelope for submission. Please note that the applications will not be processed unless the referee reports are available. 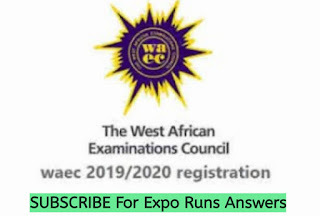 Candidates should download transcript request forms (D2) also provided online, and submit to their former Universities/institution requesting them to forward it with a copy of his/her academic transcript(s) to the Secretary, School of Postgraduate Studies, University of Nigeria, Nsukka to reach him not later than one month from the date of this advert/publication. The school will not process the applications of candidates whose transcript are not received on or before the deadline. (a) NYSC certificate (Discharge or Exemption or Exclusion Certificate). Note that “To Whom It May Concern” shall not be accepted. (b) Two copies of the application summary form (D3) available online should be downloaded and printed. ii. The second copy of the printed summary form (D3) should be glued neatly (NOT STAPLED) on a white 9”x 13” file jacket. (c) Copies of all qualifying certificates and other accompanying documents should be placed in the file jacket specified in (b.ii) and the File Jacket should be slipped into the brown envelope specified in (b.i) above. All documents must fit into the 10” x 15” envelope and delivered or addressed and sent by courier to “the Secretary, School of Postgraduate Studies, University of Nigeria, Nsukka. Closing Date: Application for University of Nigeria Business School admission for 2017/2018 academic session starts from the date of this advertisement and closes 60 days from the date of the advert.